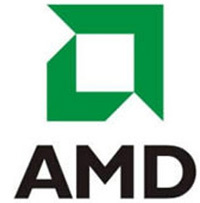 AMD is an American company that produces several lines of microprocessors, like Durons, Semprons, Athlons, and Phenoms, to name a few. Its stiffest competition for the microprocessor, is Intel , the producer of the very popular and successful Pentium series. The Pentium series has been in existence for almost 20 years, and has ranged from the very old 60 Mhz processor to the current multi-core processors, that can reach 3.0 Ghz. Although the Pentium competed with other AMD processors in the early days, today it is widely accepted that the Athlon is its main competitor, with their products coming out at more or less the same time with comparable performance levels and features. As an overall trend for prices over the lengthy time that the Pentium has been in existence, it has tended to be more expensive compared to its AMD equivalent, with which it was competing at that time. Depending on how large the performance gap is, the price difference can also vary; dictated by the market forces. The price difference is also driven by Intel, as it often holds the top spot when comparing the performance of microprocessors. The gap in performance can be largely attributed to the different architectures. Intel processors like the Pentium series had longer pipelines than their AMD counterparts. Longer pipelines allow the processor to have a much higher clock speed than what could be normally achieved. Higher clock speed was the accepted indicator of microprocessor performance, and this placed AMD at a disadvantage when it came to marketing. AMD have therefore come up with an ingenious naming convention, that labeled their products with the expected Intel equivalent clock speed. For example, an Athlon 2100 is only clocked at 1.7 GHz, but is expected to perform similarly to 2.1 GHz Pentium 4 processors. To summarize, Pentiums are top of the line products, that have a significantly higher price for the best performing processors available. On the other hand, AMD processors offer more bang for the buck, providing marginally lower performance at a much lower price point. For most users who use their computers for basic processes, the difference in performance is hardly noticeable. 1. AMD is a company that largely produces microprocessors, while Pentium is a line of microprocessors from its competing company, Intel. 2. The Athlon is AMD’s Pentium equivalent. 3. AMD microprocessors tend to be cheaper compared to Pentiums. 4. AMD microprocessors tend to have a slightly lower performance compared to Pentiums. Ben Joan. "Difference Between AMD and Pentium." DifferenceBetween.net. February 5, 2010 < http://www.differencebetween.net/object/difference-between-amd-and-pentium/ >.